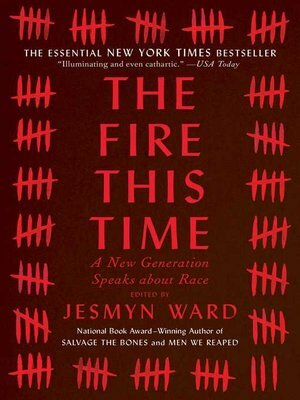 A surprise New York Times bestseller, these groundbreaking essays and poems about race—collected by National Book Award-winner Jesmyn Ward and written by the most important voices of her generation—are "thoughtful, searing, and at times, hopeful. The Fire This Time is vivid proof that words are important, because of their power to both cleanse and to clarify" (USA TODAY). In this bestselling, widely lauded collection, Jesmyn Ward gathers our most original thinkers and writers to speak on contemporary racism and race, including Carol Anderson, Jericho Brown, Edwidge Danticat, Kevin Young, Claudia Rankine, and Honoree Jeffers. "An absolutely indispensable anthology" (Booklist, starred review), The Fire This Time shines a light on the darkest corners of our history, wrestles with our current predicament, and imagines a better future. Envisioned as a response to The Fire Next Time, James Baldwin's groundbreaking 1963 essay collection, these contemporary writers reflect on the past, present, and future of race in America. We've made significant progress in the fifty-odd years since Baldwin's essays were published, but America is a long and painful distance away from a "post-racial society"—a truth we must confront if we are to continue to work towards change. Baldwin's "fire next time" is now upon us, and it needs to be talked about; The Fire This Time "seeks to place the shock of our own times into historical context and, most importantly, to move these times forward" (Vogue).